But it doesn’t even seem to be out of the ordinary for Buckley Ridges’ superstar captain-coach David White – who in the space of days – has played two of the most memorable knocks in DDCA history. It was just Wednesday when the former South African A player belted 150 not out in a Twenty20 against HSD off just 59 balls, sending 16 sixes over the rope in the process. But, on Saturday, White played a knock that was same same but different, rescuing his side from deep trouble against a high quality Hallam Kalora Park group pushing hard for a top two spot. 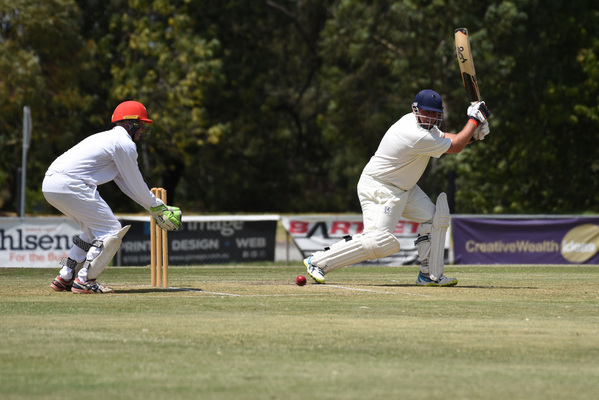 But that’s where things changed – White launched a stunning counterattack, combining for a 115-run stand with number 11 Wes Nicholas (five not out) to give the Bucks something meaningful to defend. In the space of just over an hour, White went from the 30 to a remarkable 147 off 99 balls, belting 15 sixes and seven fours in a display of hitting not seen at this level. In just four days between games, White has blasted 297 runs, 31 sixes from 149 balls at a strike rate of 199.32. Let that sink in. Eventually White holed out as the Bucks made 181, with the next highest scorer being Susa Pradeep with eight. His numbers also make for impressive reading, with 831 runs (including Twenty20s) at an average of 166.2 from 10 innings in the DDCA. 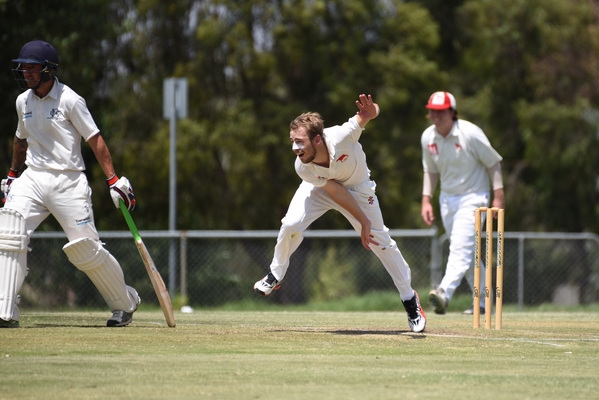 But the Hawks had the last laugh at stumps, reaching 1/79 off 44 overs at stumps to set themselves a great platform to spring an upset, with Ben Hillard (26 not out) digging in for the visitors, while Leigh Booth batted well to make 38 off 72 balls.